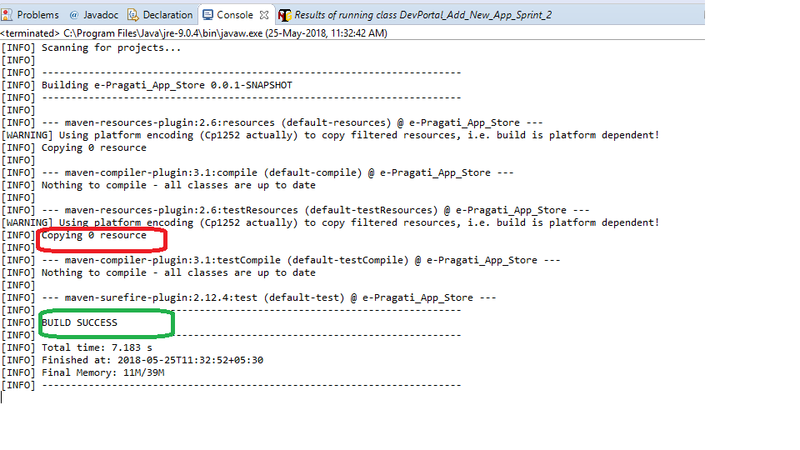 While executing my pom.xml file through maven test my BUILD is getting SUCCESSFUL but my testng.xml is not executing. I tried with executing 13 classes and with single class for both the time it gives the same result. I don’t know why it is copying 0 resource.